At picK, we seek to rescue both babies at risk for this preventable condition, AND those living with the lifelong consequences. …all while their mental abilities are all intact. Trapped in bodies that don’t work for them, those living with kernicterus have almost nothing in the way of treatment options. Medicines and therapies do little to help. There is no standard course of treatment. BUT, there are those working to change that. There are those pursuing exciting new research that could drastically improve the lives of children and adults with kernicterus! One of the leaders in this research is Dr. Steven Shapiro of Children’s Mercy Hospital in Kansas City. Chief of Neurology at Children’s Mercy Hospital, Kansas City / UMKC (University of Missouri-Kansas City and University of Kansa Medical Center). He is highly published, having conducted over 30 years of research on Kernicterus and carried out over $6,000,000 in NIH funded research on the subject. Not only is the man brilliant and dedicated, but he has a passion for children with kernicterus and sees them as individuals in need of help, never science projects. So yes, this scientist and physician with the great sense of humor, yes, we support this man in paving a better future for those living with kernicterus! Steve’s career long dream has been to have a Kernicterus Center, and this year the KCKC (Kernicterus Center in Kansas City) has opened it’s doors with the seed money that Steve raised and help from some fabulous picK families! His research there will explore treatment options such as Deep Brain Stimulation, Stem Cell treatments, and diagnostic tool kits for kernicterus. The word “cure” is a tough word. The effects of any disease that is “cured” almost always linger while the main effects have lessened. While these treatments would not likely offer a complete cure – they could offer tremendous improvement in quality of life. We don’t measure the difference between speaking and being nonverbal, between walking or using a wheelchair lightly. Waking and average of 27 times per hour (from involuntary movement) or getting a good night’s sleep – that is no minor change. These benefits would be IMMENSE for those living with the K word. Essentially, by performing the research needed to map out effective treatments will provide the light needed to greatly diminish the effects of the K, which is our goal. picK supports Dr. Shapiro and his work with both our time, our voices and our funds. In 2013, Susan, our medical writer and board member donated over 300 hours of work in grant writing to help secure funds for the KCKC, while other board members donated dozens of hours into gathering needed data and letters of support as well. 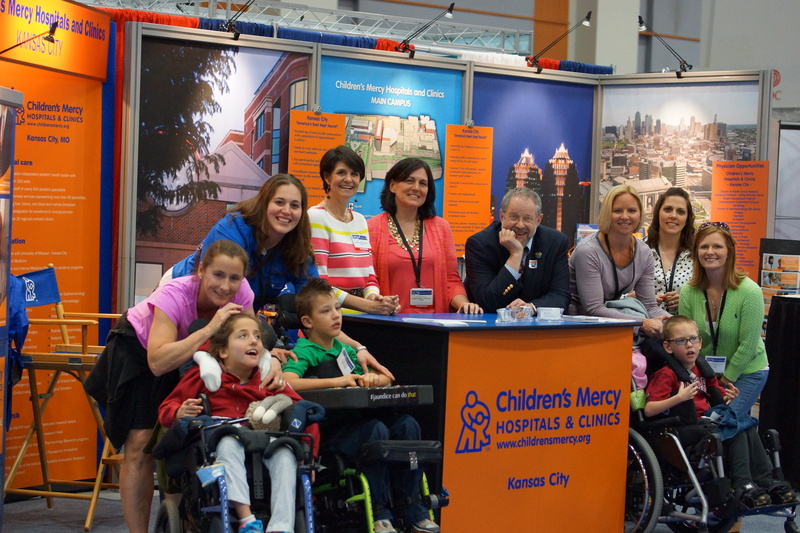 picK families have worked to raise funds by planning events, doing a silent auction etc both for picK and CMH’s KCKC. Will you join us in this adventure to rescue? Will you reach out and help these families looking for hope? I m working on a fund raising event in the Hickory NC area. My intention is to generate monies for donation to Pic-K in the name of Zack Dornbos. Can you provide any dirction toward what you have seen as successful fund raising events in the past. This is a rural comunity of about 100K population. It is however part of the Piedmont’s major medical community. I have some ideas ut would like to talk to someone to see exactly where I want to go with this. It’s great to hear from you, Walter! It’s certainly encouraging to hear about your enthusiasm to support a super hero kiddo like Zach too! We will be giving you a call this week. In the meantime, we’d encourage you to think about how you’d like to see your fundraising $’s used. Donating to pic-K would allocate funds toward prevention and family support while donating to Dr Shapiro’s research would direct monies toward treatment options. If you are looking for fundraising ideas, one stellar example is Tiser’s Chance. They’ve done an amazing job at raising funds for research on behalf of another child with Kernicterus! Thanks again for reaching out and we look forward to chatting with you!